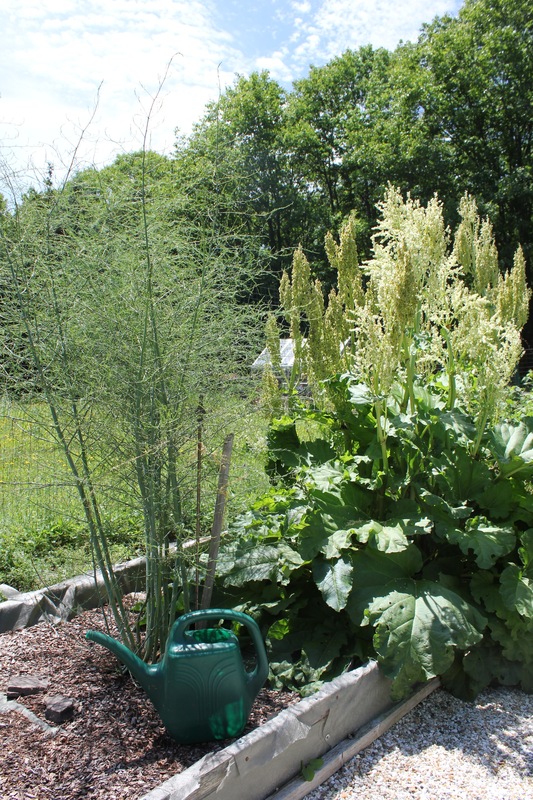 The old asparagus plant that was planted three years ago is now over six feet tall as is the rhubarb. Only a few spears were cut in its second year and this year we harvested over twenty spears. The point of letting the asparagus go wild in its third year is to allow the long stalks and buds to transfer nutrients to the roots which will improve yield for forthcoming years. This entry was posted in Farming and tagged Asparagus, Catskills, Farming, Food, Gone to seed, Local, Organic, Photography, Potatoes, Rhubarb, Small business, Spring, Spuds, Summer on June 13, 2015 by JNUrbanski.